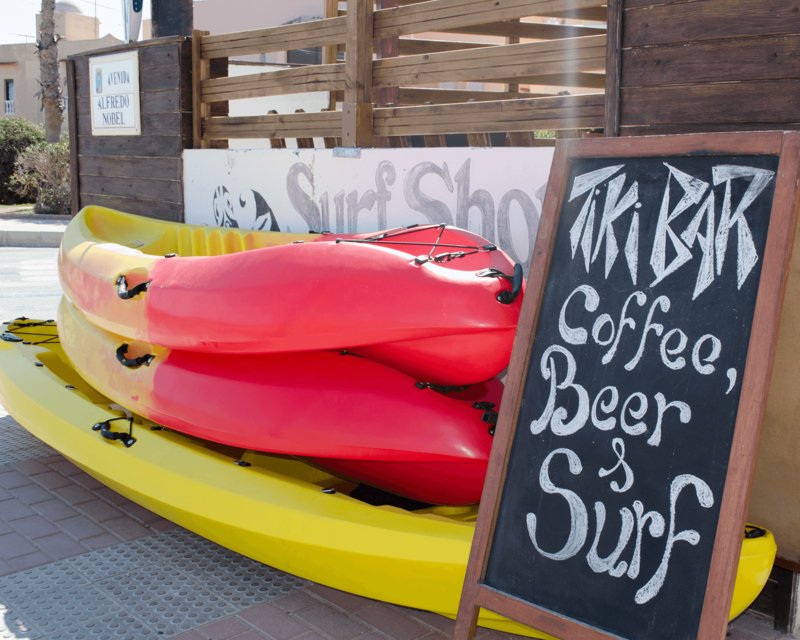 Starting this year we offer the new kayak rental service in Torrevieja Surf. The kayaks include seats, vests and paddles. There is also the possibility of adding a fishing rod holder for fishing. We have double kayaks with capacity for 2 adults and 1 child, and also single kayaks with capacity for 1 adult. Some simple kayaks are larger and have enough space for an adult with 1 child. The same as with surfboard and SUP board rentals, for kayak rentals we give a brief explanation of their correct use and comment on the conditions of the sea and the forecasts for the day. And if you take the pleasure of this outdoor activity, we also offer rental bonus cards that will allow you to try and enjoy kayaking in a more economical way.